To make someone laugh is to give a resounding gift. It’s a moment of joy, sometimes desperately needed and always making a moment brighter. Comedy isn’t always easy, but with the right knowledge and skills, it doesn’t have to be difficult. The One-Day Intensive Stand-Up Comedy Workshop delivers the very knowledge and skills it takes to be funny. From the fundamentals of humor, to a dissection of the writing craft, to overcoming inhibitions and setting foot on stage, every bit is explored, practiced, and honed. Who would love to attend this workshop? One day isn’t going to make anyone into a professional-level writer and entertainer, but it will provide a solid foundation as well as direction and inspiration for moving forward. Christina Irene holds a degree in Creative Writing from the University of Tennessee where she also studied theatre with a concentration on acting. She began stand-up comedy in 2000, working in 33 states, performing in hundreds of comedy clubs, colleges, private clubs, bars, and bowling alleys. Her background includes teaching creative writing and theatre courses at high schools as well as managing school fundraiser events and live performances. 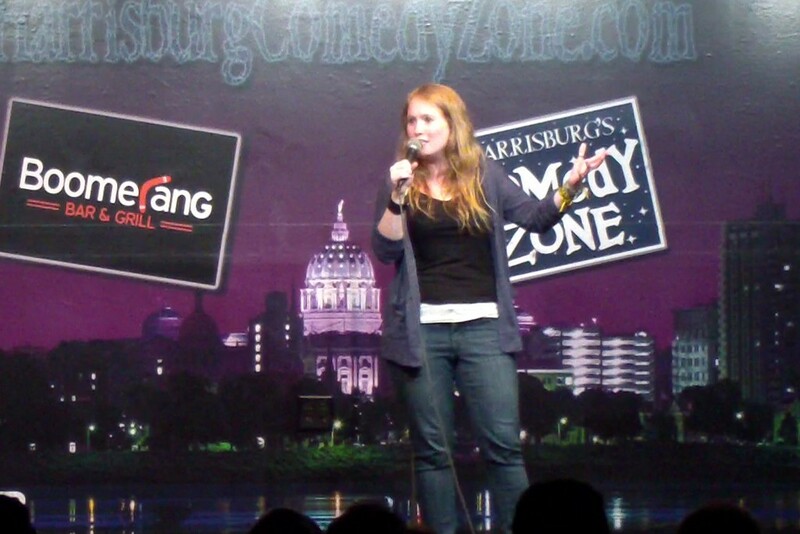 Christina currently runs a stand-up comedy workshop in Highspire, Pennsylvania. Lighten the mood and inspire some incredible transformations! Bring the One-Day Intensive Stand-Up Comedy Workshop to your campus or group. Contact Christina to request a course outline and booking availability.